Lingering sad, anxious, or empty mood. Worrying that you will hurt your baby, or thoughts of hurting your baby. According to the Center for Disease Control, about 1 in 9 women experience postpartum depression symptoms. If you have a previous history of depression you are at a higher risk. Fortunately, postpartum depression is treatable. If you think you may be suffering with postpartum depression call us today at 801.399.1818 for an appointment. If you are in crisis or thinking of suicide, please call 911 or go to the nearest emergency room. You can feel better, and we can help. GeneSight® analyzes your individual DNA to help your doctor gain a better understanding of which medications might be more likely to work, which may require dose adjustments, or may have an increased risk of side effects based on your genetic makeup. If you’re suffering from depression, anxiety or ADHD, the last thing you want is to go through is a lengthy trial and error process with multiple medications. The process can be frustrating and leave you feeling worse, not better. 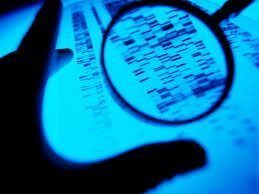 Fortunately, genetic testing can provide doctors with answers that quickly lead to relief. At Aloha, we have found excellent success rates using GeneSight® testing. We highly recommend the test for new patients or patients looking to change their medications. The process is painless, easy, fast and affordable. Your provider gathers a small DNA sample by swabbing the inside of your cheek. The test is then sent to the GeneSight® lab where your DNA is analyzed. Three business days later, your provider receives your DNA test results. Your genetic story unfolds to give our providers the powerful knowledge to know which medications to avoid, which medications are likely give you the best results, and which will have the least amount of unwanted side effects. GeneSight® testing is used for medications to treat depression, anxiety, PTSD, ADHD, acute or chronic pain, and Folate deficiency. For additional information, please visit the GeneSight® website. At Aloha Behavioral, approximately 50% of insurance providers cover a portion of the GeneSight® test. Call us today at 801.399.1818 to find out if GeneSight® is right for you!